As I write this, the temperature here in Madison Indiana is -4° Fahrenheit with wind chill down to around -27°. It is cold outside. It is even cooler than I would like inside, even with the heat on. To distract myself from this winter horror, I will try to think warm thoughts and write a little about temperature. What does it mean to say the temperature is 30 degrees or 100 degrees? What exactly are we measuring? Shouldn’t zero degrees be the coldest possible temperature? The basic principle on which the thermometer works was actually discovered in ancient times. Hero of Alexandria knew that air expanded or contracted based the temperature and invented a thermometer of sorts by placing a closed tube with its open end in a container of water. The water would move up or down in the tube according to the temperature. Galileo constructed a similar device, as did several other renaissance scientists. None of these devices had a scale, however, so it was still not possible to quantify temperature with them. They were also sensitive to air pressure. 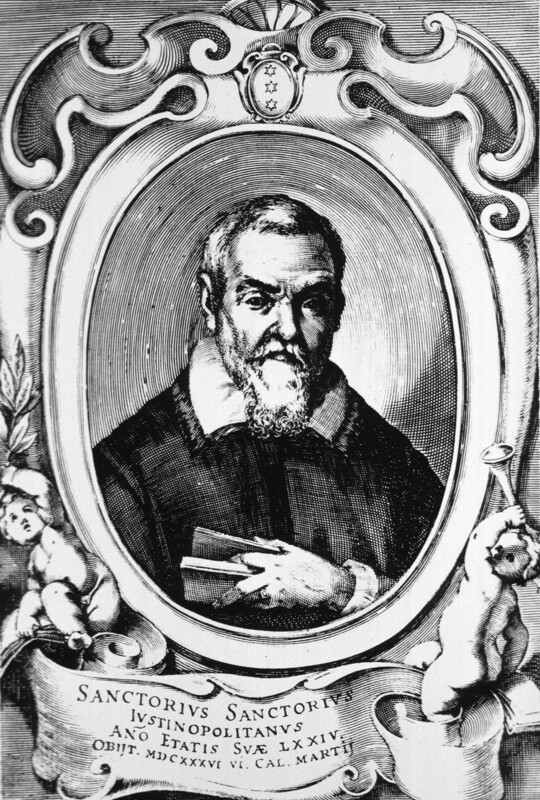 The first thermometer with a scale was invented by either Francesco Sagredo or Santorio Santorio around 1611-1613.
manufacture thermometers on a standard design, it was also possible to develop a standard scale. 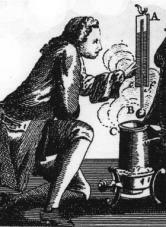 Fahrenheit developed such a scale in 1724. He used three points to calibrate his scale. The temperature of a mixture of water, ice, and ammonium chloride was designated as zero. The temperature of water just as ice began to form was set at 32 and human body temperature at exactly 96. Later, it was discovered that there are about 180 of Fahrenheit’s degrees between the melting and boiling points of water so the scale was calibrated to make exactly 180 degrees so that the boiling point of water on the Fahrenheit scale is 212°. The Fahrenheit Scale is the one most used in the United States and is still widely used in Britain and Canada. 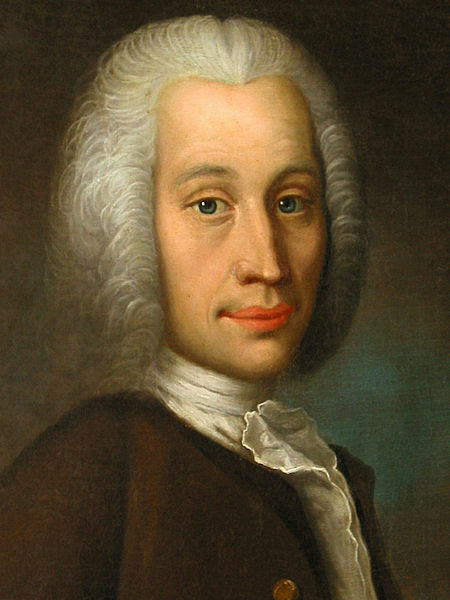 In 1742 Anders Celsius developed a scale in which there were one hundred degrees between the melting and boiling points of water. Curiously, he designated the boiling point of water as 0 and the melting point as 100 so the temperature measurement got lower as it got hotter. The Celsius scale was reversed and adopted as part of the metric system. This scale, sometimes called centigrade, is used worldwide, especially by scientists. Conversion between the two scales is easy enough. Because there are 180 degrees Fahrenheit between the melting and boiling points of water, but only 100 degrees Celsius, each degree Fahrenheit is 9/5 of a degree Celsius. Since Fahrenheit has the melting point of water at 32°, to convert from Fahrenheit to Celsius you subtract 32 and then multiply by 9/5. To convert from Celsius to Fahrenheit, multiply by 5/9 and then add 32. The coldest possible temperature, at which the atomic motion stops, is called absolute zero. This is -459.67° Fahrenheit or -273.15°. It is not actually possible to reach absolute zero, but scientists have come close. The lowest temperature ever recorded in a laboratory is around .oooooooo1 degrees Celsius. 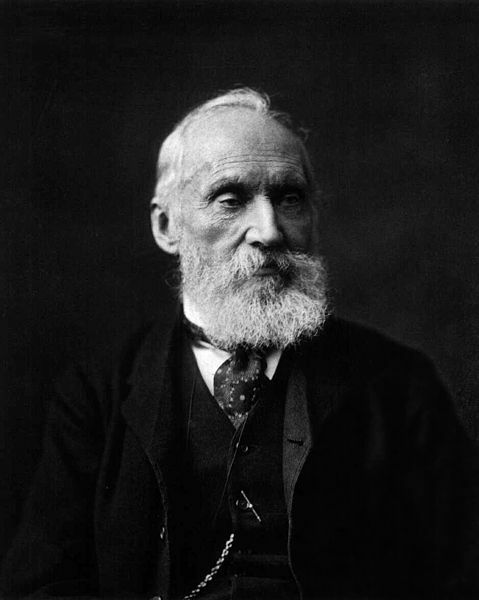 In 1848, the British physicist William Thompson, later to be Lord Kelvin, proposed a temperature scale using degrees Celsius which began at absolute zero. The Kelvin scale is slightly different from other scales in that it does not rely on the physical properties of any materials, being based on absolute zero. Temperatures in the Kelvin scale are measured in “Kelvins” rather than degrees so that you may say that the melting point of water is 273 K. The Kelvin scale is also extensively used by scientists, especially those who work with very low temperatures. It’s not working. All of this writing about absolute zero is just making me feel colder.